Welcome to our new site! Please contact us with any questions! 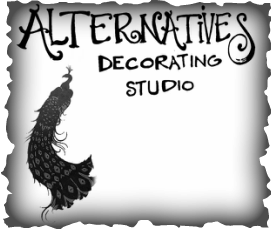 Alternatives Decorating provides customers with very usable, attractive, quality older and antique furniture and accessories at reasonable prices. Our Studio is the perfect option for the those who want to furnish their homes in a more individual style, reflecting their own personality rather than the latest trend. Alternatives also gives people a one-stop shopping experience for their upholstered pieces, where they can choose a frame for a sofa or chair, pick a great fabric and have the upholstering finished in a short time- usually about 2 weeks. We try to add items regularly, but there are many items that will never make their way onto these pages :) It will always be worth a trip out to see what is new in stock!